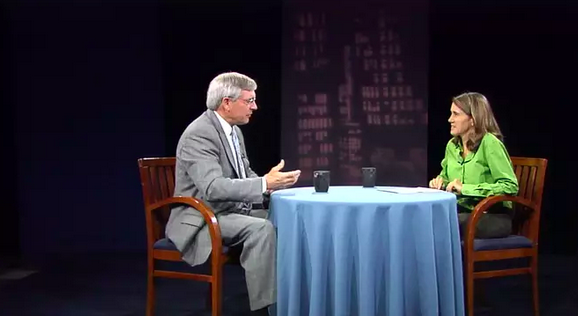 Monday, July 13 brought another edition of "City Connection," where Mayor Heartwell sits down to answer citizen questions live on GRTV and live-streaming on The Rapidian. City Connection - July 2015 from GRTV on Vimeo. A live call-in talk show with the mayor of Grand Rapids: George Heartwell. Hosted by Linda Gellasch. This month, City Connection was delayed one week due to the holidays. On Monday, July 13 at 5:00 p.m. the mayor responded to citizen questions submitted by calling in, emailing, tweeting or just posting a question in the comments section at the bottom of the article page.